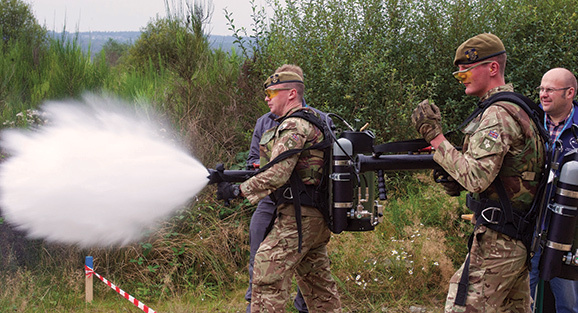 Non-lethal weapons (NLW) are weapons, such as lasers, acoustic and kinetic devices, that can be used as a tool to minimise the loss of life while achieving mission success and ensuring protection. “Non-lethal capabilities are critical for force protection purposes and to give commanders a range of different options to bring potentially hostile situations rapidly under control, while avoiding escalation and the disproportionate use of force,” explained Dr Jamie Shea, NATO Deputy Assistant Secretary General for Emerging Security Challenges. They allow suspects to be stopped without killing them and are of strategic and tactical importance, particularly in urban environments. The Alliance is supporting various activities in the field of non-lethal weapons.